Who is my local fibre company? As a telco, we utilize infrastructure in place to connect you to phone and broadband services. If you'd like to get fibre installed, we work with the fibre company in your area to get you connected. We'll keep you fully informed on what's going on throughout the connection process, so you won't have to worry about who to call. 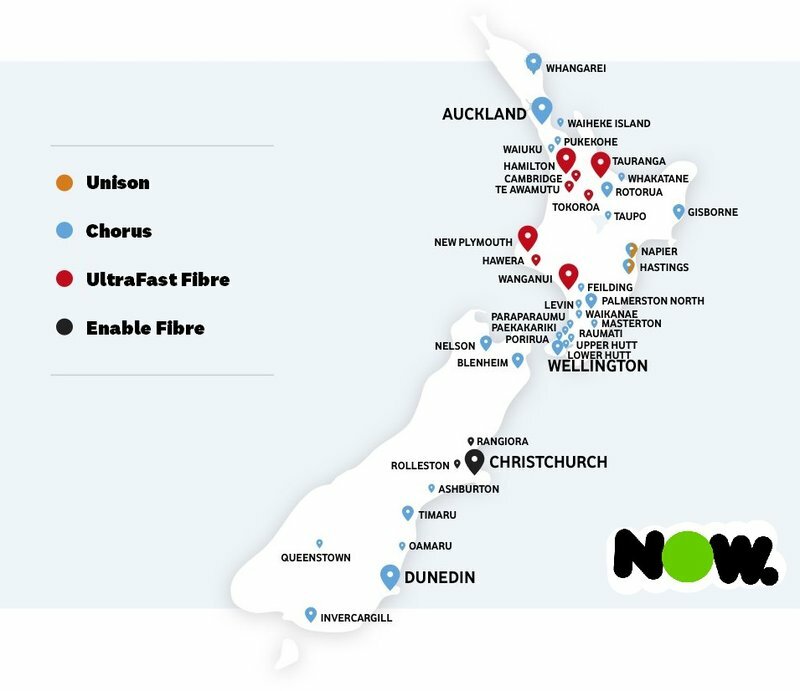 These local fibre companies are responsible for building, maintaining and repairing the telecommunications equipment in New Zealand. As per the governments stats, 75% of Kiwi homes will have access to Fibre by 2020. Interested in knowing who your local fibre company is? Check out the below.